Hamilton’s notes, from a February 10, 1804 speech at a Federalist meeting in Albany lay out eight reasons why the Federalists should not support Burr for Governor and should instead support a Democratic-Republican candidate. The first reason centered on Hamilton’s belief that Burr was a calculated politician, governed by his own ambition rather than by set principles. He wrote that Burr had been aligned with the Democratic-Republicans, either because he believed in those values (“from principle”) or because he thought that it would make it easier for him to win (“from calculation”). If Burr’s decision was based on his principles, Hamilton stated that he would not change his principles at a time when the Federalist party was struggling. If Burr had made a strategic decision, he was not going to “relinquish the ladder of his ambition” for the good of the Federalist party. Hamilton expressed the fear that Burr would capitalize on the tendency of popular governments to “dissolution and disorder” and would build up popular prejudices and vices. If he be truly, as the federalists have believed, a man of irregular and insatiable ambition; if his plan has been to rise to power on the ladder of Jacobinic principles, it is natural to conclude that he will endeavor to fix himself in power by the same instrument, that he will not lean on a fallen ⟨and⟩ falling party, generally speaking of a character not to favour usurpation and the ascendancy of a despotic chief. Every day shews more and more the much to be regretted tendency of Governments intirely popular to dissolution and disorder. Is it rational to expect, that a man who had the sagacity to foresee this tendency, and whose temper would permit him to bottom his aggrandisement on popular prejudices and vices would desert this system at a time, when more than ever the state of things invites him to adhere to it? Although Lansing was a political enemy and an anti-Federalist who had vigorously opposed the Constitution and ruled against Hamilton as a judge, Hamilton believed that Lansing’s strength of personal character would protect the office. If Lansing is Governor his personal character affords some security against pernicious extremes, and at the same time renders it morally certain, that the democratic party already much divided and weakened will moulder and break asunder more and more. This is certainly a state of things favorable to the future ascendancy of the wise and good. May it not lead to a recasting of parties by which the fœderalists will gain a great accession of force from former opponents? Burr ultimately lost the election, and Morgan Lewis became the Governor of New York. Burr’s loss, in April 1804, happened just a few months before his duel with Hamilton in July 1804. It’s Hamiltime is back! I’ve been in trial mode for the past several months, but I’m back and will be updating this blog on a regular basis. I have serious thoughts of writing to the President to tell him That I have heared of his having repeatedly mentioned the existence of a British Faction in this Country & alluded to me as one of that faction—requesting that he will inform me of the truth of this information & if true what have been the grounds of the suggestion. “It has been repeatedly mentioned to me that you have, on different occasions, asserted the existence of a British Faction in this Country, embracing a number of leading or influential characters of the Federal Party (as usually denominated) and that you have sometimes named me, at other times plainly alluded to me, as one of this description of persons: And I have likewise been assured that of late some of your warm adherents, for electioneering purposes, have employed a corresponding language. “The time which has elapsed since my letter of the first of August was delivered to you precludes the further expectation of an answer. From this silence, I will draw no inference; nor will I presume to judge of the fitness of silence on such an occasion, on the part of The Chief Magistrate of a Republic, towards a citizen, who without a stain has discharged so many important public trusts. Hamilton’s fierce defense of his honor and reputation shine through in these letters to Adams. 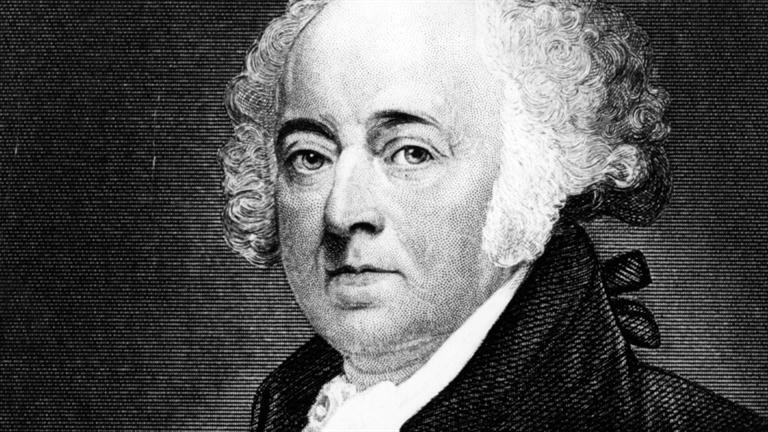 Just three weeks after sending this second letter to Adams, Hamilton wrote his influential Letter Concerning the Public Conduct and Character of John Adams, which greatly diminished Adams’ chances of re-election. “That this gentleman ought not to be the object of the federal wish, is, with me, reduced to demonstration. His administration has already very materially disgraced and sunk the government. There are defects in his character which must inevitably continue to do this more and more. And if he is supported by the federal party, his party must in the issue fall with him. Every other calculation will, in my judgment, prove illusory. Hamilton’s reference was to a July 1783 letter from Ben Franklin that has an interesting and twisted history of its own. Inclosed is an Extract of an official Letter from Doctor F—to Mr. Livingston Secretary of foreign affairs dated July 22d., which is calculated to give a private Stab to the Reputation of our Friend; at least it appears so to me. By the Doctors Observation that by writing the Letter “he hazzarded a mortal Enmity,” I think it evident, he did not intend the Letter should be seen by Mr. Adams’s particular Friends, but that Mr. Livingston should make a prudent Use of it to multiply Mr. Adams’ Enemies. Mr. L. could easily do this, by not communicating to Congress the paragraph: but being now out of Office,the Doctor’s Craft is apparent. You will please to keep the Matter a profound Secret, excepting to Mr. Adams, General Warren and Lady; and let the Channel of Communication be likewise a secret.